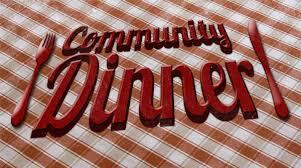 We will be having another free Community Dinner on Tuesday, August 25, 2015 at 6:00 pm in our Fellowship Hall. Invite your family and friends to join us. If you would like to help with setting up for the dinner, come at 5:00 pm. Anne Schukar will be preparing another delicious meal.